Claude M. Steele, the executive vice chancellor and campus provost at UC Berkeley, is a social psychologist whose research looks at the social impacts of stereotype identities. 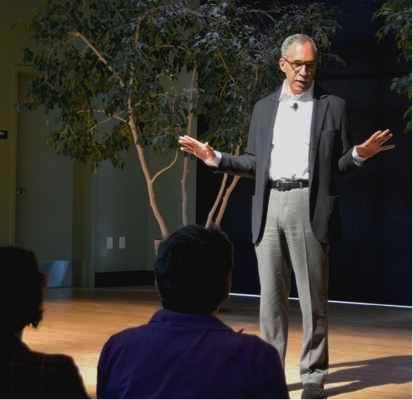 On March 10, Claude M. Steele, a renowned social psychologist and UC Berkeley’s executive vice chancellor and campus provost, spoke about his research on stereotypes and identity to UCSC students, staff, and faculty. Sponsoring Steele’s visit was the UC Santa Cruz Division of Social Sciences, Office for Diversity, Equity, and Inclusion, and Department of Psychology.